I did…and the rest is history. Not only did I join in every Friday with an entry to Susanna’s linky-list, but I also participated in her many writing prompts like Short and Sweets, holiday story contests like the Halloweensie Contest and helpful weekly features like Would You Read It Wednesday (pitches) and O Susanna (answers to specific writing/publishing questions). Susanna Leonard Hill is the award winning author of nearly a dozen books for children, including Punxsutawney Phyllis (A Book List Children’s Pick and Amelia Bloomer Project choice),No Sword Fighting In The House (a Junior Library Guild selection), Can’t Sleep Without Sheep (a Children’s Book of The Month), and Not Yet, Rose (a Gold Mom’s Choice Award Winner.) Her books have been translated into French, Dutch, German, and Japanese, with one hopefully forthcoming in Korean. Her newest book, Alphabedtime!, is forthcoming from Nancy Paulsen Books, an imprint of Penguin Books, in Fall 2015. She lives in New York’s Mid-Hudson Valley with her husband, children, and two rescue dogs. She conducts a picture book writing online course, MAKING PICTURE BOOK MAGIC, and is also well-known for her ‘hare-brained schemes’…which means she is always ready to lend a helping hand to those in need and to creatively support and encourage others. Oh, and every week she feeds us virtual CHOCOLATE and other goodies! Susanna, I really appreciate you hopping on board this ‘hare-brained’ scheme of mine! So, without further ado, HERE’S SUSANNA!!!! I grew up in a family of readers and a house full of books. Literally. There were piles of books on the floor in the hall (I thought that was normal… :)) until my dad built new shelves… and then those were filled… and then there were more piles 🙂 My mom used to read to us not just at bedtime but while we ate lunch sometimes, or when we were driving in the car (of course not while she was driving :)). I really don’t remember thinking in author/illustrator terms at the picture book age, but I loved Make Way For Ducklings, And To Think That I Saw It On Mulberry Street, The Story of Ferdinand, Mike Mulligan And His Steam Shovel, Harry The Dirty Dog, and Curious George. Oh! and Madeline and Bread And Jam For Frances 🙂 Those delightful characters and the magic of the words and pictures together filled me with joy. Even way back then I knew that someday I wanted to write books like those! Where do you like to write/draw – inside, outside, a special area in your home, on the computer, in a notebook with paper and pencil? I am a sunshine addict. If there is a patch of sunshine in my house, that’s where you’ll find me 🙂 Which means I usually work at the kitchen table and not in my office (which is on the north side of the house and gets hardly any sun.) I write all my first drafts of picture books and early readers with a basic blue Bic pen, which fits well in my not-very-big hand, on either college ruled lined paper or plain white printer paper. Only after I have a draft down do I type it onto my Macbook. And I usually revise as I type, so the original hand-written version rarely matches the first typed version. And then of course there are the 9 billion revisions after that, so the story I end up with might be quite far from where I started 🙂 Like every writer I’ve ever met, I keep paper and pen next to my bed, on the kitchen counter, in my backpack (because I am just so not a purse person :)), in my car etc. because you just never know when a great idea is going to hit and I have learned from hard experience that if I don’t write it down AT ONCE it will likely be gone in the next heartbeat! Why did you choose counting sheep/bedtime issues as the basis for your picture book, Can’t Sleep Without Sheep? Is there a clue here for aspiring authors? The idea of counting sheep/bedtime issues came to me because my son has a very busy mind and when he was little he had a hard time falling asleep. He would lie in bed and have his “thinking time” which often resulted in his coming in to our room long after I thought he was asleep and asking me such questions as, “if a poisonous snake and a scorpion got in a fight, which one would win?” and “if a car could drive into space, how long would it take to get to the moon?” and “how many teeth does a shark have and is that more or less than how many a dinosaur has?” So children who didn’t fall asleep easily were on my mind. That in itself wasn’t enough for the story though. I wanted to write a story that kids who have trouble falling asleep could relate to but that they would also find fun. The rest of the idea came from a mattress commercial on the radio that said something like, “Tired of counting sheep? Try our mattresses.” And I thought to myself, what if it was the sheep who got tired of being counted? and the two ideas clicked together. So I would say the clue for aspiring writers is that ideas are all around in your life, and sometimes it’s a matter of two separate but related things coming together in a new and surprising way, so keep your eyes and ears and heart open all the time – you never know when a great idea will present itself! Read as much as you can in the genre you hope to write. Write as much as you can – practice makes you better! Join online groups such as Julie Hedlund’s 12×12 (if you write PBs) where you can belong to a community of writers and learn. Read books on the craft of writing such as Ann Whitford Paul’s Writing Picture Books and Linda Ashman’s Nuts & Bolts Guide To Writing Picture Books. Take a writing course or two if you’re able. Challenge yourself to come up with new ideas by joining Tara Lazar’s PiBoIdMo or Paula Yoo’s NaPiBoWriWee. Know that you have to be tough on certain levels to be a writer. It’s not an easy field to break into. There are a lot of talented writers out there. The publishing industry is in a state of transition so while there are many opportunities, there is also a lot of caution on the part of editors who aren’t sure which way the wind is going to end up blowing. But don’t let a fickle market or the fact that other people have talent discourage you. If writing is your heart’s desire then write! You have just as much chance, just as much right, just as much hope as anyone else! Susanna, thank you so very much! Your answers were inspiring and your shortlist of tips is something everyone should print out and keep by their workspace. You are well-known for the delicious virtual treats you provide with almost every post, Susanna. We are thrilled to have the recipe for one of your favorites – this will definitely be served for dessert at our house this Holiday Season. Dunk cookies, one at a time, into melted chocolate so that chocolate comes about 1/3 of the way up the cookie. Shake of excess and place carefully on wax paper. Place cookie sheets in the fridge for at least 15 minutes (or pop in freezer for less) so white chocolate is set and firm to touch. These cookies are best stored in a container in the refrigerator, layered between pieces of wax paper. Yield: 40 minty dipped cookies. If you’d like to learn more about the lovely Susanna or contact her, please check the links below. On December 21st, I’m honored to be interviewing a guest from half-way around the world, RA for SCBWI Australia, award-winning multi-published author and child-advocate, Susanne Gervay. Please stop by to say hello! 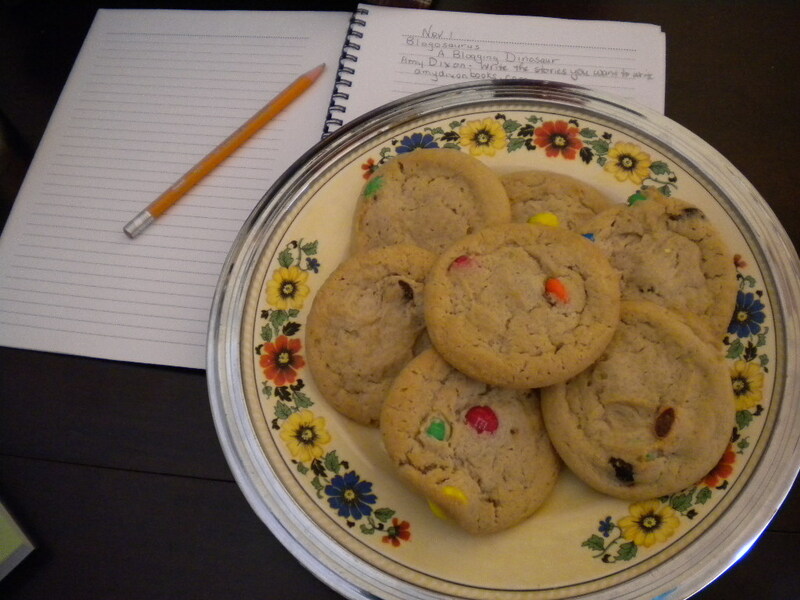 This entry was posted in Holiday Dessert Recipe, Will Write for Cookies, Writing tips and inspiration and tagged Author recipes, Holiday Desserts, Susanna Leonard Hill, Writing resources by viviankirkfield. Bookmark the permalink. Stacy…you hit the nail on the head! Susanna is amazing for all that she does for us (aspiring picture book authors) and for kids while all the time she is there for her own family and her own writing obligations. I like her office, well at least with the light it was getting at the time she took the picture. Vivian, I wanted to ask you. Several people have recommended Susanna’s online writing course. Have you taken it yourself, or heard from people who did? Well, Susanna, you did a great job! Thanks for stopping by, Milka…I know how busy you are. Several people I know personally have taken Susanna’s course…and LOVED it. (read Stacy’s comment just above) I do plan on taking it myself…but with the move, I was so overwhelmed and even had to miss out on Mira Reisberg’s class which I had registered for. 😦 Knowing Susanna through blogging and her writing contests, prompts and helpful posts, her course will be AMAZING! Great, thanks for letting me know. I like that you can start it any month you like, as long as you’re registered for it. I probably won’t look into it until next year but it looks like time and money well spent. I can’t get my thoughts off those cookies 🙂 How fun to read the story behind the counting sheep story. To think that part of the idea came from a commercial! Thanks, Vivian and Susanna! I can’t believe you haven’t seen the story behind Can’t Sleep before, Tina. I feel like I’ve posted it so many times people must be getting tired of it 🙂 You should definitely try the cookies. They are super easy to make and extremely delicious! What I’m learning, Tina, is that the great story ideas are right there…we just have to be listening and observing carefully…and paying attention. I know I am often concentrating on the task at the moment or some future event or problem. This is what is brought out in many of the PiBoIdMo posts. Aw, man, Susanna! Those cookies look great and I will be sure to bake these with my son, the other mint lover in the family. But you still haven’t’t revealed what I am dying to know: HOW do you do it all? I know it isn’t just chocolate. I tried that! If you have another recipe with no clean-up required, let me know! Brilliant post, ladies! Susanna your course is awesome and thank you for all the wonderful things you do for us writers. I love those comments your son made, tonnes of ideas there. And yummy! Golly! Look at all these early birds – or maybe they’re night owls! I wanted to post the first comment and you’ve all beat me to it! Thank you SO much, Vivian, for inviting me to participate in your terrific new series. I’m honored that I got to be part of it. And thank you for so thoughtfully adding in all the little details I forgot (the links to my own blog!) I loved Iza’s post last month, and I’m so looking forward to Suzanne’s in December. Thank you for all you do for the writing community! So happy you enjoyed the post, Iza! I think that ‘if writing is your heart’s desire, then write” is my favorite! You and Susanna have certainly set the bar high for this series and I’m excited for the wonderful authors who will be appearing in future months. 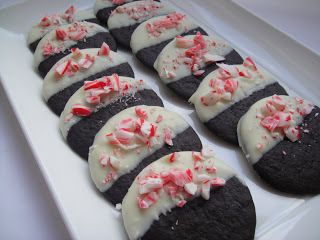 The cookie recipe has already been added to my family’s annual Cookie Day batches to make. Nice list of tips. Thanks Susanna for sharing your excellence, and thanks, Vivian for this new series. I especially like Susanna’s advice: have some chocolate & then write some more. Thank you again Vivian for sharing such valuable information! Susanna and Vivian, I enjoyed this interview so much! Susanna, I am so grateful to “know” you (some day we MUST meet in person) and I am also grateful for all you do for the writing and reading community. And I *love* being part of your legendary “hare-brained schemes” — code for creative and amazing ways to benefit others. You are a joy. Vivian — this series is brilliant. Thank you for it, and for all *you* do for writers and readers. I like hearing that you are a *sun* person as well. Thank goodness I have a laptop so I can migrate from one side of the house to the other during the course of the day. So much more cheery! Lovely interview by lovely ladies. Thank you! Glad you enjoyed the interview, Cathy! Oh Juliana…you are a hoot! I guess you’d better NOT call Susanna old…because if she is old, then I am…older. :) 🙂 Thanks for stopping by! I love Susanna’s chocolate ideas, cookie recipes, contests, books, blog, hare-brained ideas, support, fun… wow, and so much of that came out in this lovely interview. Thank you ladies. Susanna ~ I enjoyed learning a bit more about you and your writing. Your blog is ALWAYS a happy place to visit! Even for those of us who don’t write (or read) Picture Books. Thanks to you too, Vivian. I bet the two of you meet sometime soon ~ now that you both live on the same coast. You are so kind to come and visit even THOUGH I’m a picture book writer and you’re not! I’m glad you think it’s happy and fun! So fun to hear your entire story, Susanna. Most of your favorite children’s and middle grade books were my favorites, too! Wow, is this interview packed with a lot of Susanna things. First of all when I hear the word chocolate or any sweet, I always think of Susanna. Yes, many hare-brained ideas, but people sure love them! Susanna has contributed so much to this writing community — and it’s such a privilege to be part of it! I was just reading your post about Imagine A Rainbow, Pat, and thinking you contribute way more than I do, always picking such important, necessary, thoughtful books! Thanks for all your kind words, though, and for being my friend in our wonderful writing community! I agree with Susanna, Pat! I am awed by your dedication to uncovering the BEST books that deal with sensitive issues. Thank you! Thank you, you both are so kind. What a great interview and I can’t wait for Alphabedtime! How exciting about your books being translated into so many languages? But man, are you a busy girl, Susanna! You’re so generous for mentioning all of those amazing kidlit links for new and old to connect. We are a blessed bunch to have each other and your contribution to this community is invaluable. Thank you Vivian for having Susanna as your guest. You and your blog are amazing! Great interview, Vivian and Susanna! I love the short list, especially the second from the last tip! I write for chocolate! Hooray for Susanna! 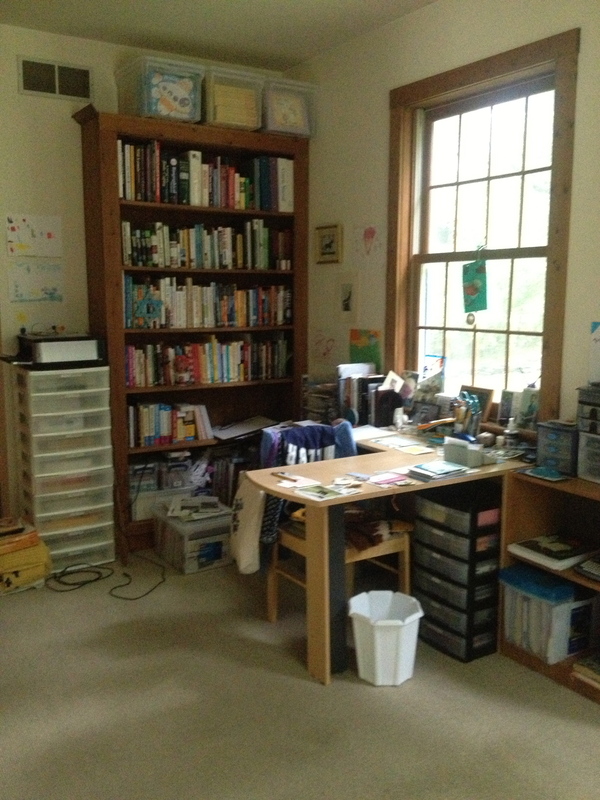 I’m pretty sure I’m in a LOT of good company when I say how much I have learned not only from Susanna’s Making Picture Book Magic class, but from her blog and from just watching what she does. This lady knows her stuff, and is one of the most generous children’s writers I’ve met. Thank you for featuring her, Vivian! And Susanna – I, too, search out that patch of sunlight every day, and move my computer around the house as the sun moves. I like knowing that we are both prowling our houses like cats looking for that inspiring bit of warmth! Big hugs to you! So glad you enjoyed the interview, Renee! And you are right…Susanna is so extremely generous with her time…those writing prompts and contests take SO MUCH TIME and preparation and follow-up…just the time responding to the comments (and she responds to EVERY comment…and often follows up with a reply to the reply). The recipe looks like it makes delicious cookies, but parts are cut off and I don’t know what they say (on the right). Great interview! I learned a lot! I just can’t keep up with all the wonderful blogs I follow. So I’m late again. I’ll make a note of that future lunch date, Penny! What a great interview! I learned so much here. Thanks for inviting me, Vivian, and thanks for sharing so candidly, Susanna! I’m glad you were able to stop by, Tina! I know how busy you are with your own blog and link ups. :) Yes, Susanna shared so many great ideas…I know they will help everyone.